Taking up their new position in the Red Zone, MTD Specialty Turf Products will be returning to BTME in 2019 with a much-expanded line-up. Visitors can see the new INFINICUT® Fixed Head mower – the latest addition to the award-winning Cub Cadet INFINICUT® range – along with a new cassette in the ATT TMSystem™ and a new face, who will be on hand to offer support and advice to customers on stand 253. With industry leading cut quality at the centre of Cub Cadet’s design philosophy, the INFINICUT® Fixed Head™ enjoys many of the key benefits of the floating head version. Powered by a lithium battery, low emissions and quiet operation are delivered as standard. Available in 22”, 26”, 30” and 34” cutting widths, the launch of a Fixed Head alternative will help a broader market base to benefit from the numerous technological advancements the range offers. In its smaller form, the INFINICUT® remains a popular choice with golf courses looking to achieve a clean, sharp cut on greens. 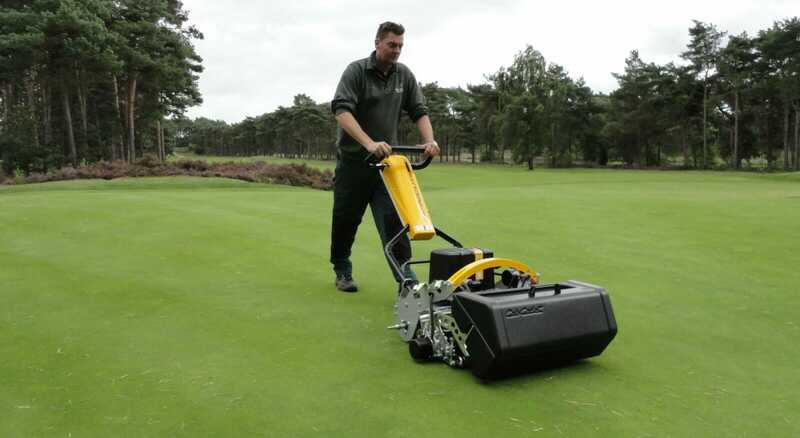 Unlocking the full potential of the INFINICUT®, along with all main-stream makes of triplex greens and lightweight fairway mowers, the unique ATT TMSystem™ continues to be utilised by astute Greenkeepers the world over. Whether the objective is organic matter reduction, grain control, soil gas/air exchange, green speed manipulation, or just top-dressing integration, there is a carefully engineered SMART cassette to meet the need. The latest addition to which is the new SMARTTurfClean™ cassette. Developed in response to industry demands, the patent-pending design effectively cleans turf surfaces with minimal stress to the plant. With the continued non-renewal of plant protection products, skilful mechanical maintenance of turf grass has never been more necessary. Staff will be on hand to offer tailored advice, including Jonty Norton, MTD’s first, dedicated ‘on the road’ service technician. Due to growing demand and expansion in the golf and sports turf markets, Jonty marks the start of an expanded service capability. With years of golf machinery experience already under his belt, Jonty looks forward to supporting customers, old and new, in Harrogate.